MAGIC Worm Ranch, a Plantersville Texas company, is ranching worms. 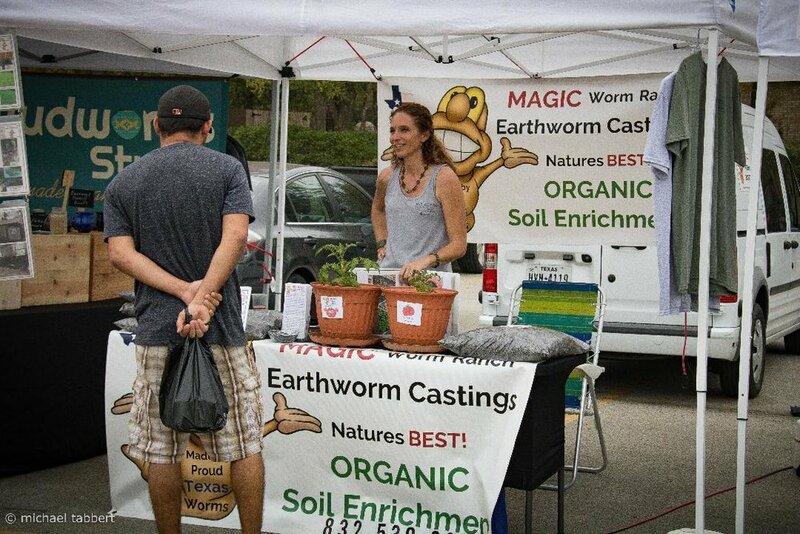 More specifically, the ranch refines what the worms produce; earthworm castings. Owner and founder, Gary Green, has thousands of African nightcrawlers residing at the ranch in an indoor, temperature-controlled environment. They are being cultured in the best, black Texas dirt available. This means that not only is the quality unrivaled, but these castings are Texas tested for Texas gardens. “The lowly earthworm is nothing short of amazing. It is a very simple organism but needs a lot of care” explains Gary Green. The hungry crawlers are fed a proprietary diet of special organic ingredients. The worms thrive in this carefully prepared and balanced bedding mix and what they leave behind is the richest natural soil nourishment known to humans. Worm castings. The organic matter consumed by the worm is changed both physically and chemically by the worms’ digestive track and is literally “homogenized.” With no odor or additives, these worm castings stimulate plant growth more than any other natural product on the market and contain a highly active biological mixture of bacteria, enzymes, and remnants of plant matter as well as earthworm cocoons (when damp). The castings are extremely rich in water-soluble plant nutrients; the nutrients that cause spectacular plant growth.